Mythbusting | [All Things Tanning] For Tan Fans! Is Coconut Safe For Nut Allergies? Happy Anniversary Fake Bake Australia! 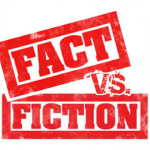 Organic Spray Tan Solution – Fact Or Fiction? One Stop Information Site for Tan Fans, Manufacturers, Suppliers, Salons and Services!